"It was a really emotional, devastating experience but your team made it as smooth as possible. We just wanted to let you know how much your help means to us as well as how nice it is to know that good customer service is still out there." "We knew that the tax credit deadline was right around the corner. He was extremely appreciative of everyone pulling together to make the closing happen for him so quickly." 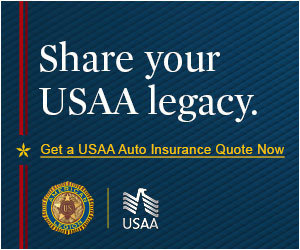 USAA’s Casey Marmol asked a 25-year-member with only an auto policy how USAA could do more for her. The 66-year-old Colorado widow replied: "Tell me what you can do for an old lady who lives on $2,000 a month and has lost everything." "She was so relieved. She told me she wished she could hug me. I said it would be nice, but what she was doing for me and our country was much more meaningful than a hug." Assoc. Claims Adjuster, Colorado Springs, Colo.
"I could hear the relief in his voice when it was taken care of. In his mind, he has this one shot to make this problem go away, so my goal was that when he hangs up this is not on his mind anymore." "It is claims like this one that tug at your heart. When I initially spoke to our member, I just wanted to jump through the phone and give him a hug and tell him it would be OK. All I could do was listen and be there for him in his greatest time of need. That’s what we do for our members." "Every time I get off the phone with members, even though I’ve never met them, seen them, had the opportunity to shake their hands, I would like to think they’re saying, ‘I’m not just a call or a member number. Chris cares about me and my family,"
"We were very consistent in offering her step-by-step guidance on how to reduce her debt and credit utilization. We even signed her up for credit monitoring so she could watch her credit score rise more than 50 points." "The 21-year-old Army specialist was calling from the hospital. He was in the early stages of a long recovery from losing a leg to an IED in Iraq and was already looking ahead to when he would need a vehicle with special modifications. The VA was going to pay $11,000, but he needed a loan for the other $17,000."